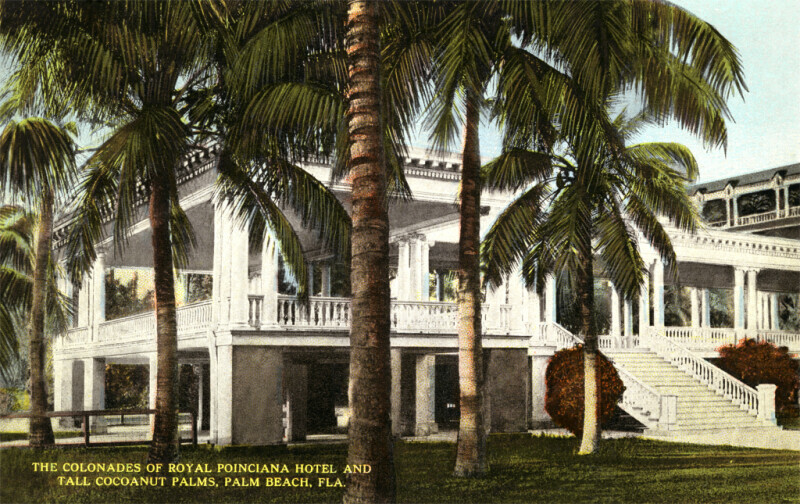 This image shows the colonnades at the Royal Poinciana Hotel. There is a wide staircase that can be used to access the second story colonnade. There are ornamental shrubs to either side of the staircase. The ground floor colonnade has square, concrete pillars. The second story colonnade has round columns, with Ionic capitals. There are palm trees growing around the colonnades. WARNING: You are about to download a 13.7 MB TIFF!